LDS Cambridge delivers leaflets to residential areas throughout Cambridge and the surrounding areas. The company also specialises in leaflet surgery by providing clients with design pointers on their new or existing leaflets. In order to maintain a first class service to customers and to differentiate themselves in a competitive market, LDS Cambridge had to satisfy two key challenges to their business. Firstly, to somehow provide evidence or audit trails for clients that door-to-door leaflet drop activity actually took place. Secondly, to monitor that employees’ were conducting leaflet drops when they were supposed to and not discarding or destroying leaflets without delivering them. LDS had used two other systems previously to address these challenges, however, they encountered problems with service and data quality which failed to deliver a solution as required. LDS Cambridge decided to implement Crystal Ball’s MobileTrack Pro which is a simple to install mobile tracking app that sits on the employee’s smartphone. Positional data is transmitted from the smartphone to a web based system which displays the employees’ current location and door-to-door leaflet deliveries on foot. The portal also offers detailed mapping, additional journey reports, and visual “snail trail” maps of journeys, all of which combine to provide a comprehensive audit trail. Since MobileTrack Pro was implemented, LDS Cambridge has been able to effectively monitor and manage their entire leaflet distribution team. The system provides detailed reports for audit purposes which are passed to clients as proof of activity. LDS’s clients have also noticed improvements in information feedback and the quality of service from the company – one aspect which LDS is keen to promote and highlight to new prospects. From a resources and management perspective, there are now fewer missed deliveries and more leaflets are reaching their intended destinations. This has resulted in fewer customer queries, better returns for the activity they are undertaking, and LDS’s staff are far more productive. 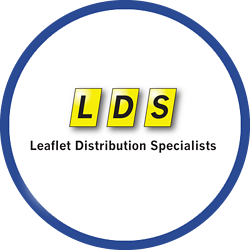 LDS’s supervisors have also benefitted for the implementation as they now have complete visibility of their respective distributor teams and don’t need to make any unnecessary journeys to make sure leaflets are being delivered – reducing fuel costs to the business.